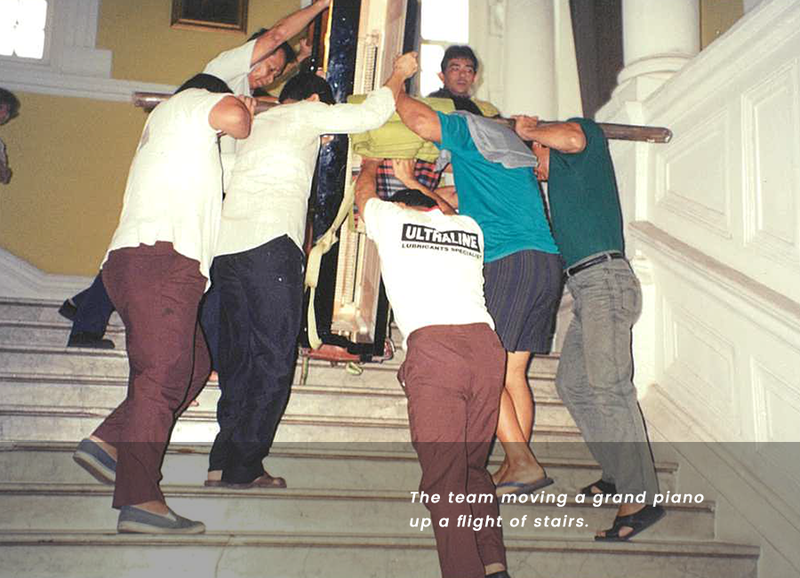 Moved a piano? We probably did it. 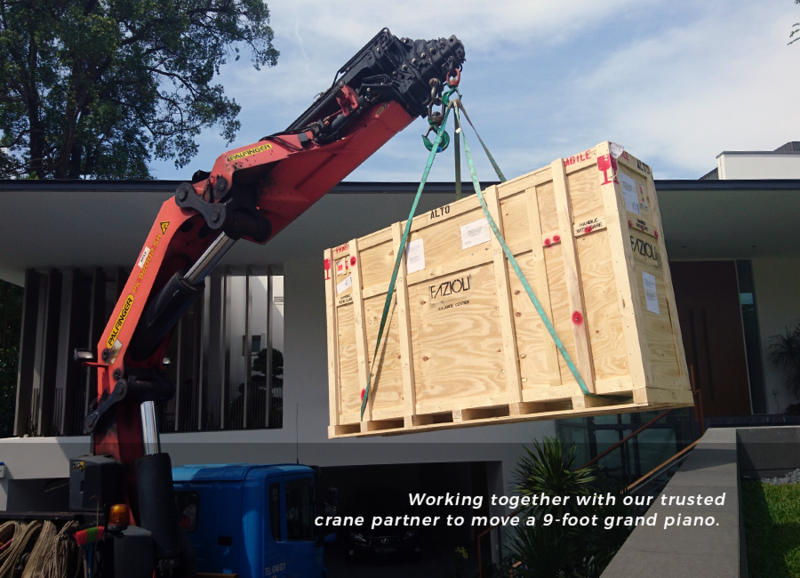 Established in Singapore as the authorised piano mover for major piano brands and concert organisers. Music Express has established ourselves as Singapore’s leading logistics specialist for musical instruments. 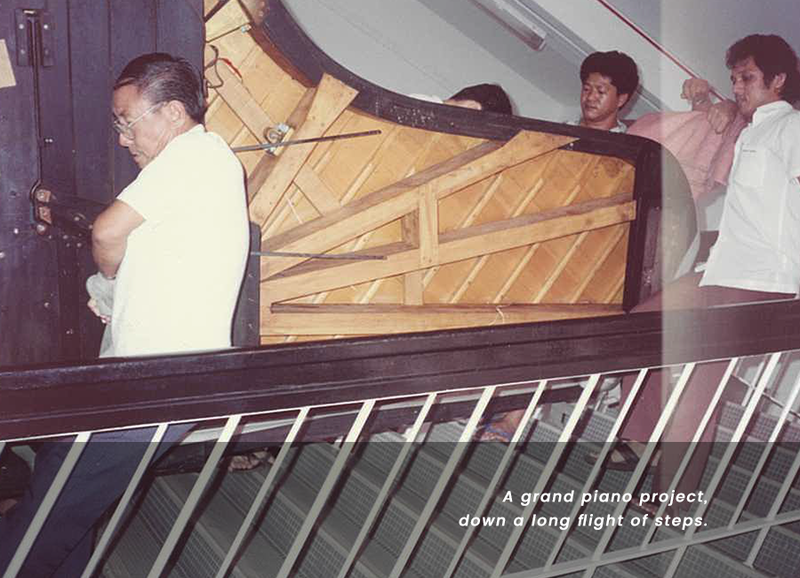 Our founders honed the art of handling pianos and other high value musical instruments at Yamaha Music Asia (Singapore) more than 40 years ago. 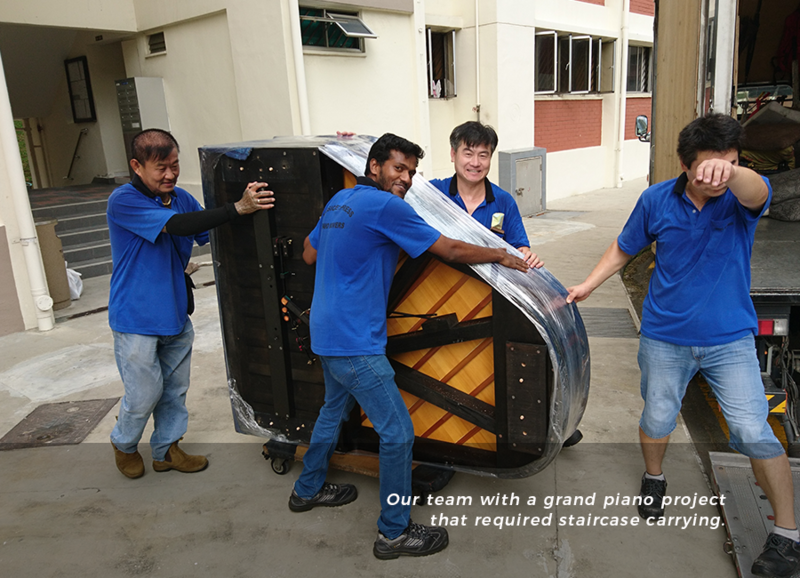 Till today, our founding partners, who are the pioneer batch of piano movers in Singapore, are still actively involved in handling pianos and passing down their invaluable experiences and skills. 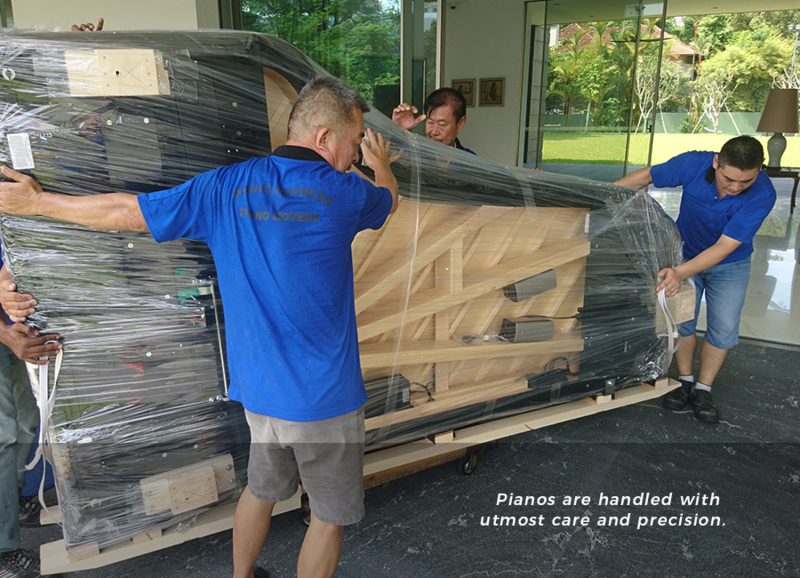 Music Express started as the authorised logistics provider for Yamaha Music Asia (Singapore), and are today, the appointed piano movers for many other notable brands such as Steinway & Sons, Bösendorfer, Steingraeber & Söhne, Fazioli, Schimmel, etc. Not only do we strive to continue the legacy of being the leader specialising in musical instruments logistics, we are also committed to being the premier one-stop solution provider for all musical instrument related matters. Just as the art of handling pianos is a niche service, we recognise that there are many other faucets such as tuning, repairs and refurbishments, that require specialised skill sets. These are the areas where our strategic partnerships that have been built up over the past 20 years or so, come into play. Every of our strategic partners are specialised in different fields of services for every specific musical instrument and brand. We are confident to say that we know just the right man for every specific aspect of musical instrument related services you require. 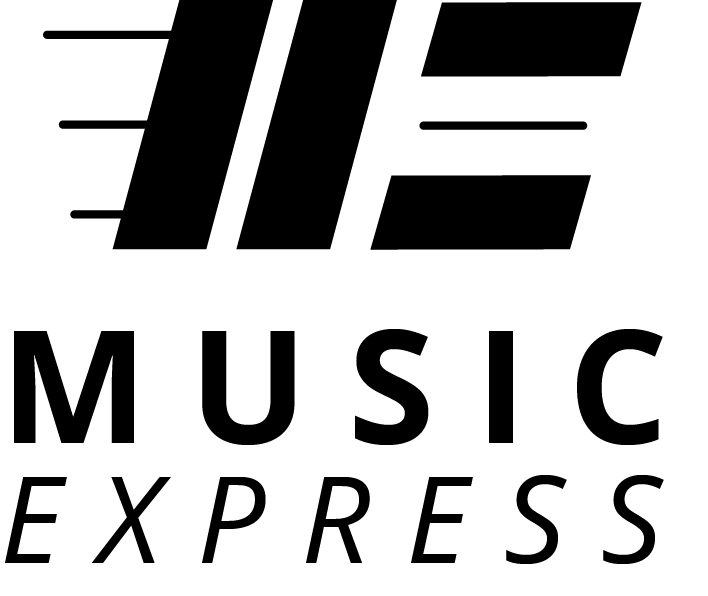 Contact Music Express for a move, today.